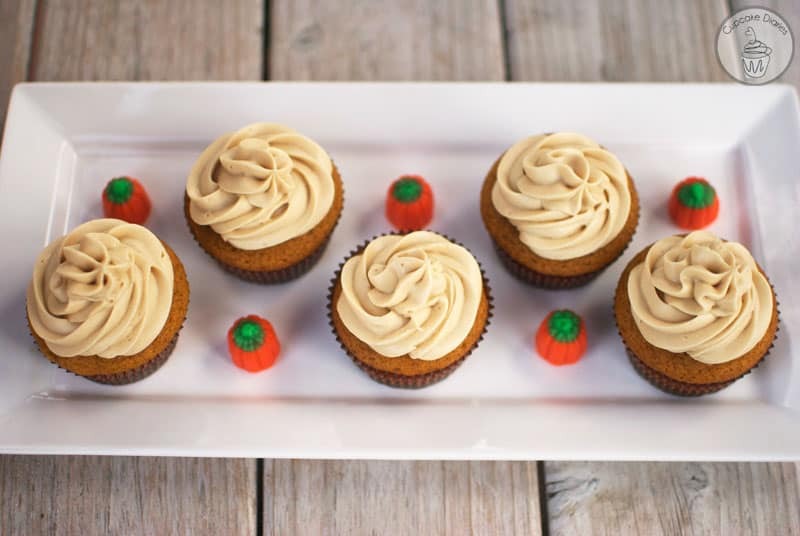 These pumpkin cupcakes are divine. 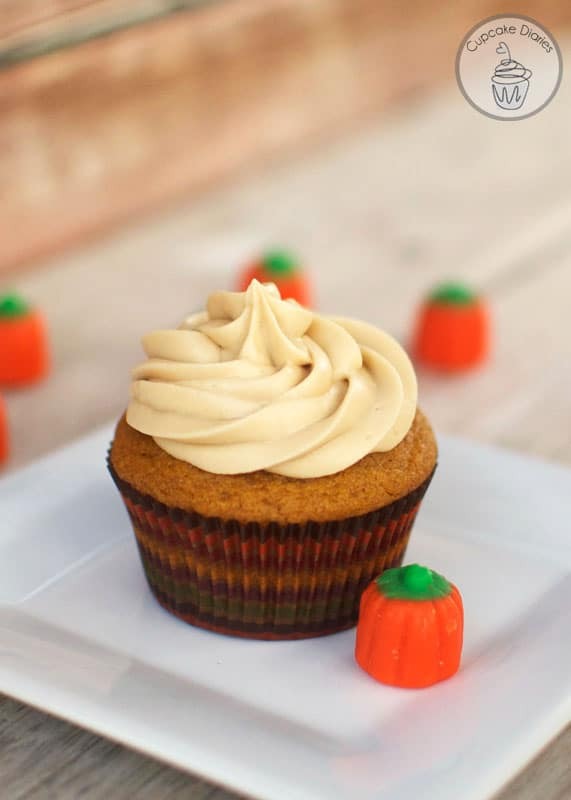 If you like pumpkin, this cupcake was made for you. 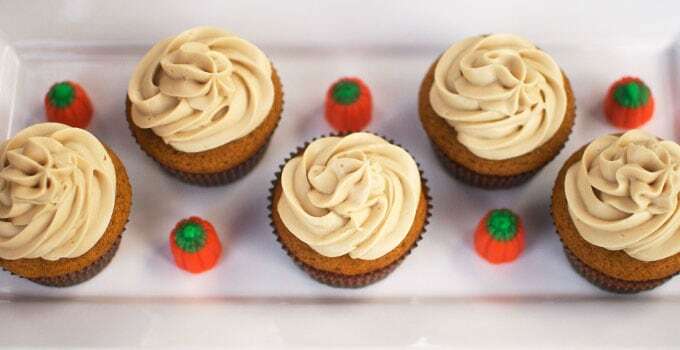 They’re so moist and pair amazingly with that maple cream cheese frosting. 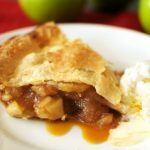 This is a perfect non-pie dessert option! Autumn in a cupcake for sure. Thanksgiving is definitely the holiday of pies, but it’s so nice to have something not pie to eat after dinner. 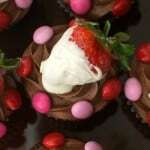 These cupcakes are a great option and they come together easily. You can even make them a day in advance and you’ll be set! 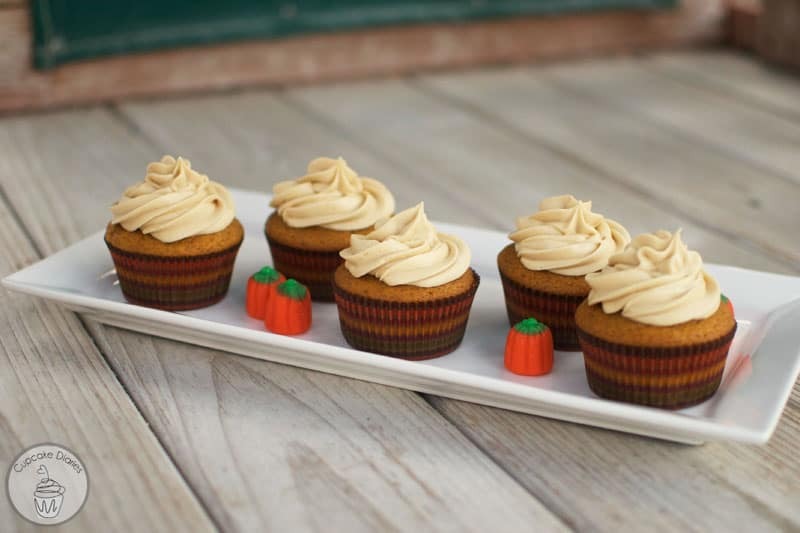 You bet they’ll be on our dessert table this Thanksgiving! In a mixer combine oil, eggs, both sugars, and pumpkin. In a separate bowl whisk together baking soda, baking powder, salt, flour, cinnamon, ginger, and nutmeg. Slowly add the flour mixture to the liquid mixture till combined. Add cupcake liners to tins and fill 2/3 of the way full with batter. Bake for 18-20 minutes at 350°. Cool completely before frosting. To make the frosting, combine cream cheese and butter with an electric hand mixer until smooth; add vanilla extract and maple extract. Looking for more options to serve at this year’s Thanksgiving? 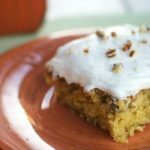 Take a look at this list of dishes created by other bloggers to help you prepare for Thanksgiving! From the turkey to side dishes, rolls to pies, we’ve got you covered! These are so adorable! What a perfect way to end the Thanksgiving feast- especially for the little ones! 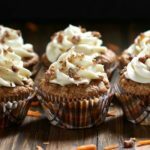 Every holiday should be celebrated with cupcakes, Allie, and these are just perfect for Thanksgiving! I know my kids prefer cupcakes over pie anyway, so we usually have both on the holiday dessert table. I think I’ll be trying your recipe this year! 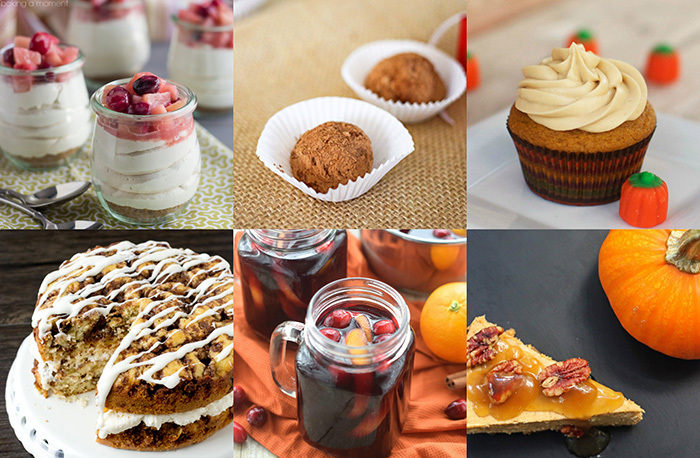 Thanks so much for sharing it as part of our Thanksgiving Menu Blog Hop!